Geneva/Tbilisi, 23 October 2015 – More than 100 plant experts from all over the world met at the 22nd meeting of the CITES Plants Committee in Tbilisi, Georgia from 19 to 23 October 2015 for its last meeting before the 17th meeting of the Conference of the Parties to CITES (CoP17) in Johannesburg in September 2016. The Plants Committee reviewed the conservation status of and trade in a wide range of CITES-listed wild plants that are harvested for trade and used in a large variety of products. They include high-value timbers such as African teak, rosewood, palisander, African sandalwood and ebonies; valuable non-timber forest products such as African cherry and agarwood; as well as orchids and all sorts of orchid derivatives; medicinal plants; and ornamental plants such as cacti. The Committee developed guidance for sustainably harvesting perennial plants and tree species; identified ways to strengthen the capacity of the CITES authorities managing and monitoring trade in plants; and addressed issues such the identification of CITES-listed timbers, and forensic sciences to help in controlling this timber trade. The Committee commended the Democratic Republic of the Congo for the progress made in bringing international trade in African teak back to sustainable levels, and recommended some specific actions. But for a number of other species such as rosewood, ebonies and palissanders, it expressed concerns about unsustainable exploitation levels and illegal trade of species of rosewood in Central and south America, Africa and Asia. The Committee provided advice to several Parties that are preparing species-listing proposals for submission and possible adoption at CoP17 in 2016. They concern cacti (Sclerocactus spp. ), palms (Mexico), Dalbergia trees (Mexico; Thailand), and orchids (Switzerland). The Committee agreed on improvements to the important CITES Review of Significant Trade process, which verifies levels of global commercial trade in CITES-listed species, and identifies instances where trade may jeopardize the conservation status of CITES-listed animals or plants. In these cases, the Review results in recommendations for actions to exporting Parties to address over-exploitation and unsustainable use. 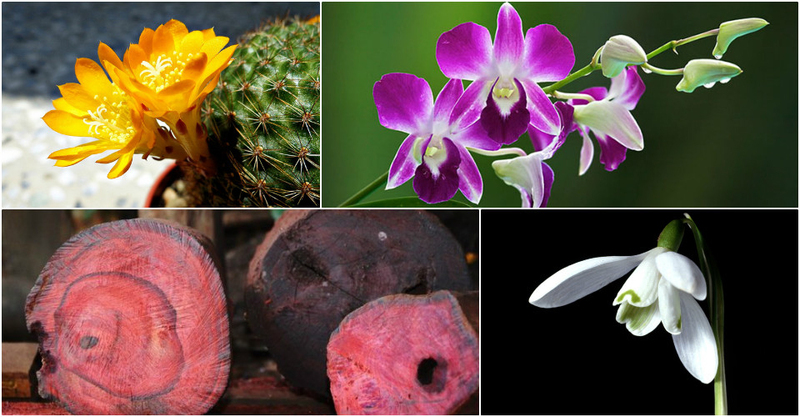 The Committee’s Review of Significant Trade agreed to examine trade in hardwoods from Argentina and Paraguay, Red sandalwood from India, snowdrops from Turkey, orchids from Laos, various medicinal plants from Cameroon, DRC, Namibia, Uganda and South Africa, and from Mexico and the USA. He also expressed his gratitude to the generous host, the Government and people of Georgia for hosting the meeting. The CITES management, scientific and enforcement authorities of Georgia were all represented at the highest level at the meeting, reflecting the strong commitment of Georgia to the effective implementation of CITES. Paraguay and Madagascar offered to host the next meetings of the Plants Committee in 2017 and 2018. The Plants Committee provides the technical and scientific basis for the implementation of the Convention for flora species, ensuring that CITES decision-making on international trade in plants and plant products is based on the best available science.